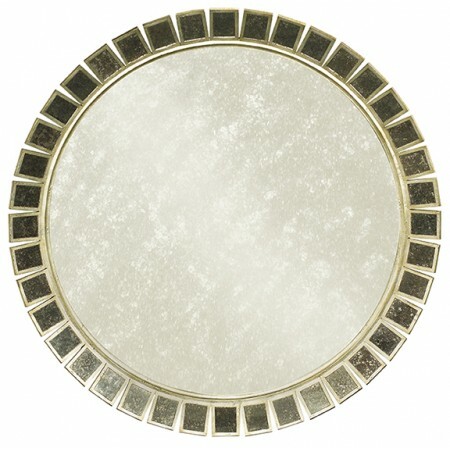 The Soleil Round Mirror glimmers with a new hue with each turn of the head and shift in light. The heavily antiqued mirrors and antique silver leaf frame surrounding the antiqued center mirror form a shimmering surface that creates a focal point for any space. Antique Silver Leaf is the only finish as shown.